Happy Sunday! 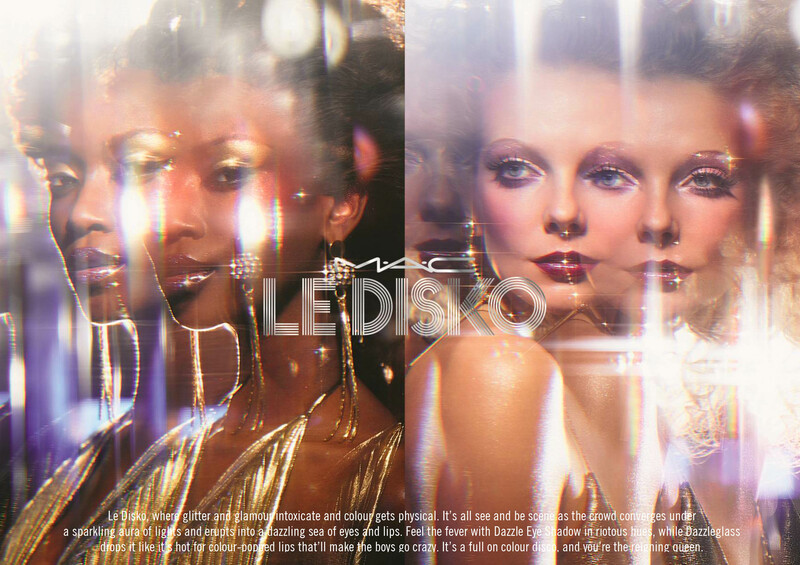 Welcome to a preview of one of MAC’s upcoming summer collections, Le Disko. 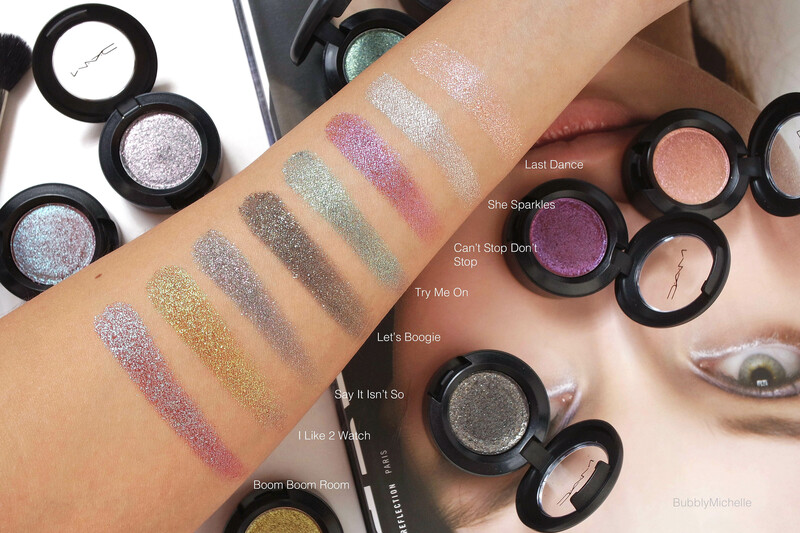 12 eyeshadows in a glittery, Dazzleshadow formula. 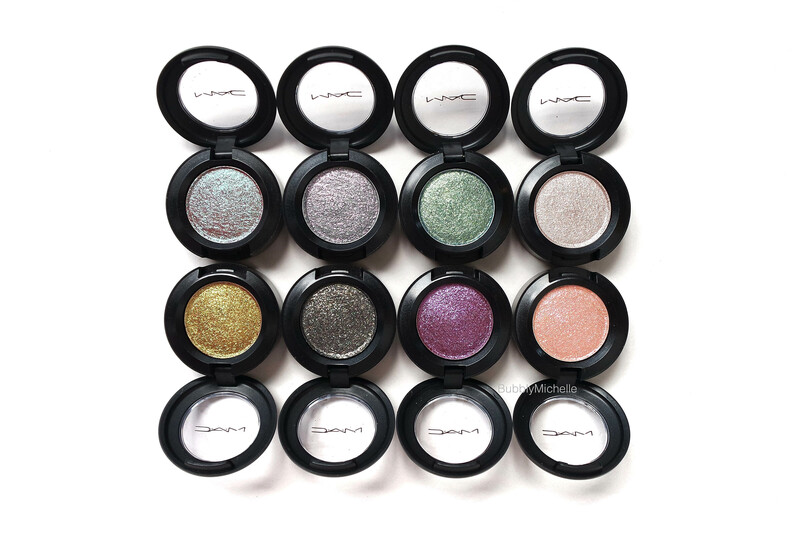 Here I have 8 of the eyeshadows. Most of the colours are multi dimensional with some duo chrome shades and are truly quite dazzling, specially so under artificial lighting. 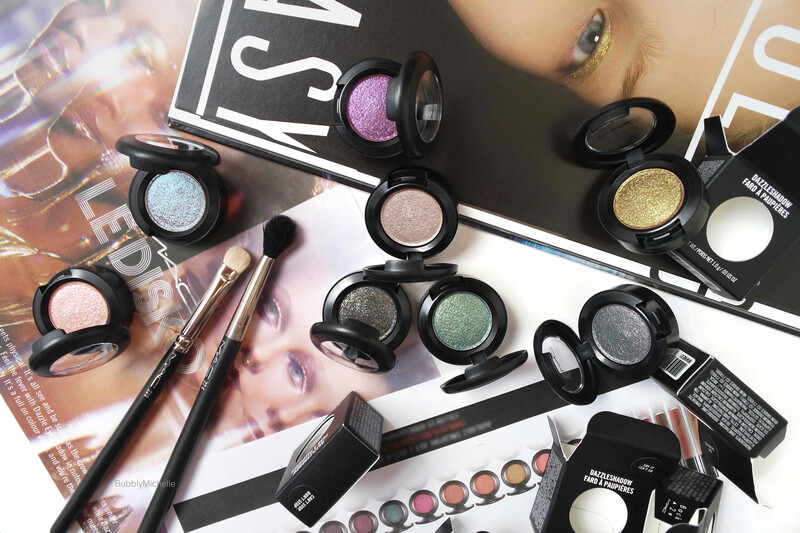 The Dazzleshadows are a very loosely packed formula and flakey to the touch. The colour payoff comparable to the Bao Bao Jewels Limited Edition palette, except not as creamy. The glitter in these are a very fine and and more of a shimmer. Definitely easier to work with than those shadows with chunky glitter which get all over the place! When blended they sheer out a fair bit and seem to have difficulty adhering to the skin and I do believe this formula would benefit greatly paired with a primer. 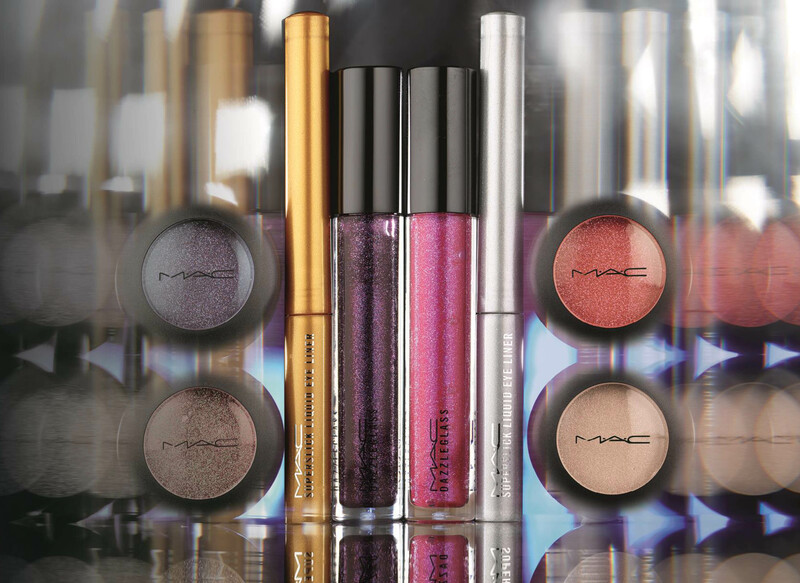 Row 1 (Left to Right) – Boom Boom Room, Say It Isn’t So, Try Me On, She Sparkles. Row 2 – I Like 2 Watch, Let’s Boogie, Can’t Stop Don’t Stop, Last Dance. My personal favourites from this collection are Boom Boom Room, Say It Isn’t So & I Like 2 Watch. All so wonderfully complex! 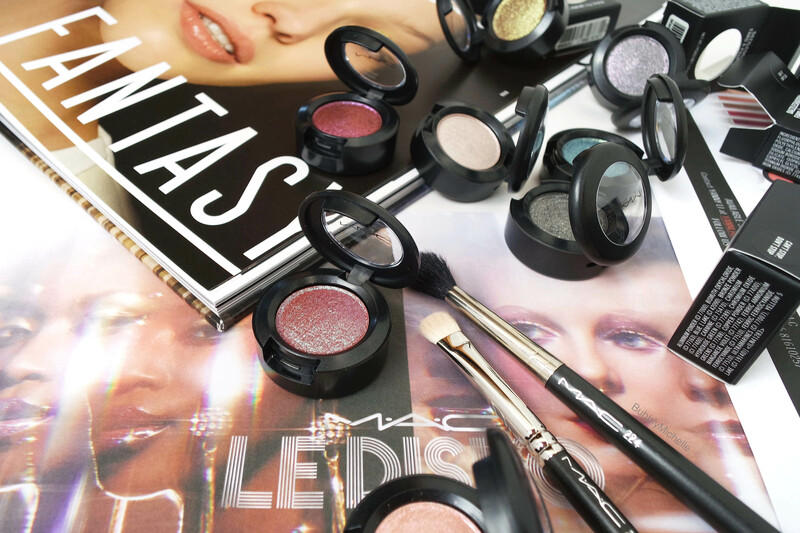 This collection will be launching in Singapore on the 3rd July at all MAC counters.